Happiness Is a Mood Not a Destination: Our week in Maine + a possibility of a link up! If you hadnt noticed, I was a little absent this week from writing posts and even commenting. My mom and I took a two day trip up to Maine. My aunt and uncle rented a place about 3 hours away from us, in Peru. At first we were going to stay with them but the house was too small. So, thank goodness for another aunt and uncle who live an hour and 45 minutes from the lake. We had such a blast and it was nice to get away for a few days. Enjoy some pictures! Apparently only two people should go it. They kept going in circles and drifting away from us. They had to be saved! Havent played this in years! My aunt and cousin turned us onto White Chocolate covered raisins...they are actually really good! The next picture is hilarious. We used the GPS to get to the lake the first day. It had us going the "scenic" route. Yea right. It was nothing. We had to find a grocery store to get food to bring. There was none. My cousin found one 5 miles back but my aunt didnt want to turn around. Then we got to the town of Buckfield. We saw a sign for Buckfield Mall. We were excited..especially since we all had to use the restroom. We pulled up and found this. The door said "no public restrooms". What mall doesnt have a bathroom??? On another note, I was talking to a "big" blogger about a link up idea I had, and she actually thought it was a good idea. It would the type of link up where you'd feel like you were grabbing a coffee and chatting with a friend. A little different than most link ups I've seen but I think thats why it would be good. 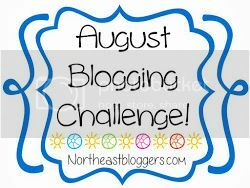 I'd love to have 1-2 other bloggers, join in with me. Shoot me an email or leave a comment if you'd be interested. The owner of my company just left for Maine this morning! He goes every year. Says it beautiful there! I'm glad you had such a nice time. That last photo is funny! Mall! I'm curious about the trees behind it, though; have they already lost their leaves up there? I know it gets cold early in Maine, but wow! It looks beautiful! I hope the weather was nice and cool for you! Also, I'd love to hear what your idea for the linkup is...we just had the last Get Fit Friday today, so I'm looking for a new one! Looks like fun!! Glad you got to relax in such a beautiful place! !